Indivumed GmbH was founded in 2002 by leading scientists with a drive to revolutionize cancer treatment through individualized therapy. As a physician-led, integrated global oncology company our experts leverage the world’s premier multi-omics oncology database and highest quality biobank to develop a true picture of cancer. Our three divisions operate holistically with one another for the generation, characterization, and analysis of biologic samples from human cancer patients. Indivumed is headquartered in Hamburg, Germany, with a US-based subsidiary and a global clinical network. Since its founding, Indivumed has grown exponentially, our reputation for product and service quality and relationships expanding across the globe. We are always looking to the horizon for new partnerships and methods to support the realization of our vision. Indivumed announces an International Partnership with IMCB to establish an Asian-Centric Multiomics Cancer Database for Personalized Oncology. Indivumed opens the new U.S. headquarter in Frederick, MD. The Salk Institute and Indivumed have established a strategic partnership to advance research in precision oncology and personalized medicine by utilizing the highest quality molecular and clinical data in cancer. Investment Plan for Europe: The European Investment Bank (EIB) will provide a loan of EUR 40m to Indivumed GmbH. Indivumed will collaborate with MedStar Health to advance our understanding of the molecular basis of cancer through collection and analysis of biospecimens and clinical data, making possible new individualized diagnosis and treatment of cancer. Indivumed announces a partnership with the Indian Institute of Technology Madras to help develop the organization's cancer biobank and database for use in precision medicine research. Indivumed announces a partnership with Northwell Health in New York, USA, to expand cancer biobanking activities with the health care provider. Indivumed begins a research partnership with the Medical University of Bialystok. Indivumed announces a partnership with the University of Rochester Medical Center in New York, USA, to create a new human tissue and tumor biobank. Indivumed and Geisinger Health System, USA, partner for personalized medicine initiative in the US. Indivumed sells Inostics to the Sysmex Corporation. IndivuTest GmbH is founded as a wholly owned subsidiary of Indivumed to provide individualized diagnostics to oncologists and cancer patients as support to select the next beneficial therapy. Indivumed becomes certified according to ISO 9001:2008. Indivumed becomes a clinical research partner in the newly founded Otto J. Ruesch Center for the Cure of Gastrointestinal Cancers at Georgetown University, USA. Indivumed is awarded and funded by the NCI as a research partner to study factors impacting tissue quality. Indivumed moves to its new facility located at the Center for Innovative Medicine (CIM) in Hamburg, Germany. Together with renowned cancer researcher and HHMI investigator, Dr. Bert Vogelstein (Johns Hopkins University), Indivumed founds the diagnostics company Inostics GmbH. Indivumed and Georgetown University Medical Center, USA, enter into a collaboration to develop a cancer research database. Indivumed wins the competition to become a "Place in the Land of Ideas". Indivumed is named “Germany’s Best Company” in the Visionary Category, winning the German Foundation Award 2005. Indivumed's US subsidiary is founded with offices in Kensington, MD. Indivumed is awarded “Best New Company” in Hamburg, Germany. Founding of Indivumed in Hamburg, Germany, by Dr. Hartmut Juhl, Dr. Carsten Zornig, Dr. Peter Layer, and Frank Oertel. Bioagency AG provides start-up funding. 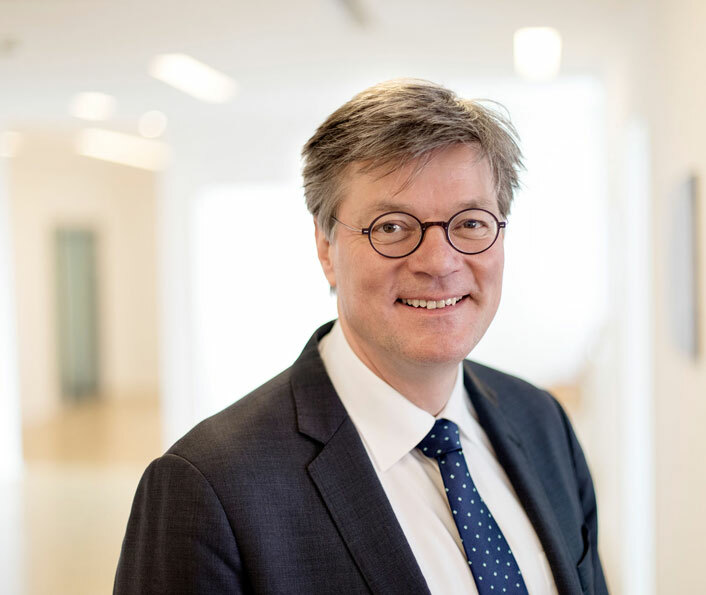 Dr. Hartmut Juhl is an entrepreneur, surgical oncologist, and world-renowned researcher dedicated to the science of tissue quality and its application to precision medicine in cancer diagnostics and therapeutics. Hartmut holds a professorship at the Medical Faculty of Hamburg University, is an adjunct professor at the Lombardi Cancer Center of Georgetown University, and has served as an advisor to the U.S. National Cancer Institute on matters of tissue quality for clinical and research applications. From 1987 to 1992, he worked as a research associate and resident at the Hamburg-Eppendorf Surgical University Clinic. In 1992 he moved to the Surgical Clinic of the Christians Albrecht University in Kiel, where he worked as a surgical oncologist and, simultaneously, led a molecular oncology research group until 1998. He became a specialist in general surgery (“Facharzt”) in 1995. In 1999, he became Associate Professor at the Lombardi Cancer Center of Georgetown University. In 2002, Hartmut became co-founder of Indivumed GmbH in Hamburg and was awarded the “Hamburg Foundation Prize” in the category of “Founders of new Businesses” in 2003, as well as the German Foundation Prize in the category of “New Visionary” in 2005. In 2004, he founded Indivumed Inc, a subsidiary of Indivumed GmbH, to cover the US business. In 2008, Hartmut initiated the foundation of Inostics GmbH, a subsidiary of Indivumed GmbH, jointly owned with scientists from Johns Hopkins University, Baltimore, Maryland. In 2011 Hartmut founded IndivuTest, a specialized diagnostic lab to individualize cancer therapy, as a subsidiary of Indivumed. He successfully closed six rounds of financing to build up and grow Indivumed GmbH and its subsidiaries, respectively, and in 2013, he successfully managed the sale of Inostics GmbH to Sysmex Corporation. Hartmut studied medicine at the Hamburg-Eppendorf University Clinic from 1979 to 1986. He received his doctorate of medicine (Dr. med.) in 1989, and his “Habilitation” in Surgical Oncology in 1996. Michael Gutsmann brings over 25 years of administrative and business experience in scaling companies and implementing value-driving based on a systematic approach paired with clear processes to Indivumed. Prior to joining Indivumed, Michael served as the CFO or COO for companies like Bigpoint, Dreamlines, AOL, Blockhouse Group, and Iconmedialab. At Bigpoint and Dreamlines he implemented system-based processes which became an essential part of the value chain, forming the backbone for the tremendous growth that they experienced. In total, he secured more than €700 million in funding for both companies. Michael started his career at Jungheinrich, a forklift company, before moving to Staples as head of controlling, before joining Iconmedialab. He holds a master’s degree from Hamburg University. Fernando Andreu has been working in the Medical Devices and In Vitro Diagnostics fields for more than 25 years and brings to the table his considerable amount of knowledge and experience. His focus lies on using technology to improve healthcare processes and patient outcomes. Throughout his career, he has led from management positions the development and commercialization of several innovations such as, among others, a platform to remotely connect people with diabetes and their doctors, the decentralization of therapies with anticoagulant drugs, a breast cancer database for translational research purposes and the first liquid biopsy IVD test for colorectal cancer. Before joining Indivumed in 2018, Fernando was a Senior Executive Officer at Sysmex Europe and CEO at Sysmex Inostics, the liquid biopsy affiliate of Sysmex. He has also held management responsibilities at companies like Roche Diagnostics and Chiron Diagnostics (formerly Ciba Corning). In parallel to his professional development, he has been part of the Strategy Department at ESADE Business School in Barcelona, teaching courses on Business Strategy and Entrepreneurship for more than ten years. Dr. Susanne Arbogast brings to Indivumed more than ten years of experience in implementing research and development programs with a strong focus on (immuno-) oncology projects. This is paired with her extensive expertise in global management of the interface between pharma and diagnostics, as well as a broad external scientific network. Susanne is a full board certified anatomical and surgical pathologist. She studied medicine at the University of Freiburg, Harvard Medical School, and the LMU Munich, receiving her doctorate of medicine (Dr. med.) in 1992. She worked at the Pathology Institute of the LMU Munich for more than 15 years, most recently as assistant medical director. In 2007, Susanne joined Roche as Global Head of Pathology and Tissue Biomarkers, responsible for setting up and running a global team (Europe/US/China) to drive all tissue-related discovery and clinical biomarker programs to enable personalized health care. Frank Clausen brings to Indivumed more than 25 years of execution, administrative, and leadership experience negotiating and securing cross-departmental collaborations between healthcare business and internal IT. Prior to coming to Indivumed, for 20 years he served as director of IT with Sysmex Europe GmbH, Europe’s top laboratory diagnostics and healthcare company, and the global leader in hematology diagnostics and service. Frank has expansive experience with various IT systems and Japanese and American inter-cultural exchange. As the project manager, he was part of the team responsible for the implementation of SAP R/3, a Datawarehouse, Microsoft SharePoint, and self-developed CRM solution. He holds a degree from a Hamburg business school and a foreign large business apprenticeship. Nils Schumacher brings over 20 years of in-house legal experience to Indivumed, with a particular emphasis on contract, corporate and IP law. Nils’ diverse work experience includes having served as a legal advisor, HR director and corporate secretary. Prior to joining Indivumed in 2017, Nils worked at a venture capital and private equity-financed multinational start-up, for an internationally operating developer and distributor of software solutions and IT media, for an IT business consultancy and for a US law firm. As a qualified lawyer (diploma from Friedrich-Alexander-University Erlangen and Bavarian state examinations) and an admitted solicitor, Nils holds a master’s degree in business mediation from IUKB Sion, as well as a diploma in business administration from Hagen University. 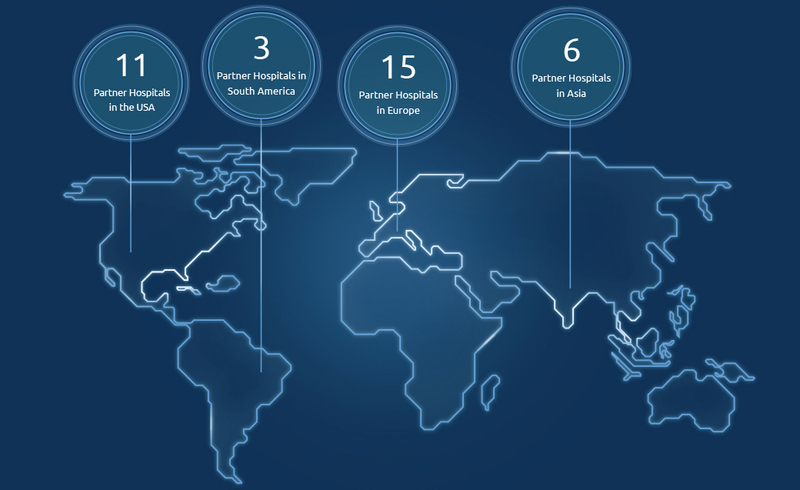 Indivumed has established close and long-standing partnerships with leading hospitals, clinics, and biopharma institutes in Europe, North America, and Asia. The collaboration with these institutions is the basis for maintaining and expanding Indivumed’s high-quality biospecimens, clinical data, and breakthrough research techniques. Indivumed is continually expanding its clinical network in order to provide even better products and services for oncological drug discovery and development programs. Indivumed has approximately 200 employees in Germany, Poland, the USA, and India. We are a future-oriented company with an ambitious growth strategy, proud of our innovative team of leading scientists, and of our international reputation. At Indivumed you have the chance to pursue your professional goals and benefit from quick decision processes – thanks to flat hierarchies and ample creative freedom. Looking for a secure job with exciting challenges? Then apply for one of the following vacancies. Simply e-mail us your completed application documents to jobs@indivumed.com. Please indicate the job title in the subject line. Of course, all information you provide will be treated in the strictest confidence.